This portrait was published in Zounds! 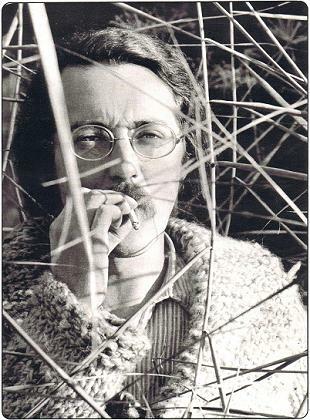 in 1973, and taken by his friend Mézières. 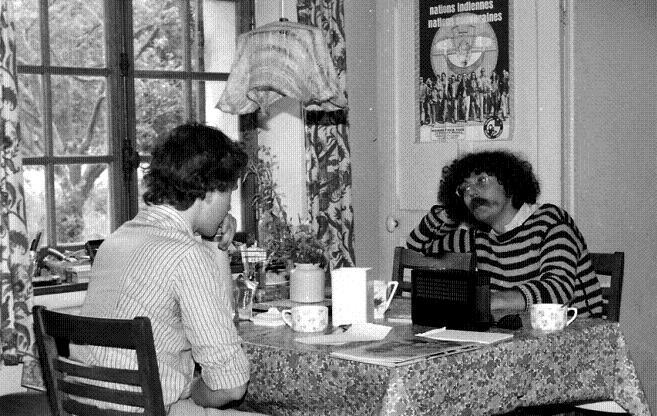 Photo taken by Nicole Spits in June 1977 of Hans van den Boom, while interviewing Claude Auclair for the Dutch Magazine Stripschrift. On the back of the books of the first cycle of Simon of the River, also published in Tintin/Kuifje early in 1974, and taken by Jean-Pol Stercq. On the back of the books of the second cycle of Simon of the River. (That same occasion a photo was taken that was used in the issue of the weekly Hello BD/Kuifje to announce his journey to the circle of great poets in the sky. 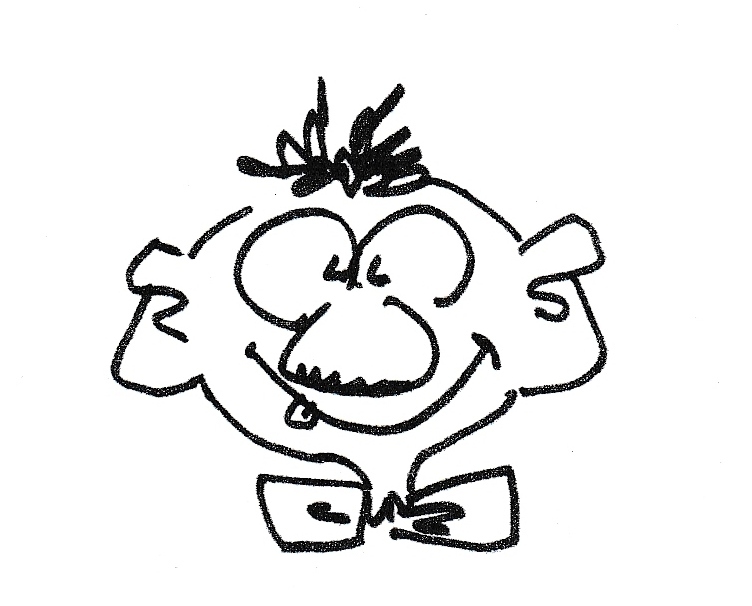 Claude Auclair draws a cartoon of himself in a letter to the earlier mentioned interviewer. 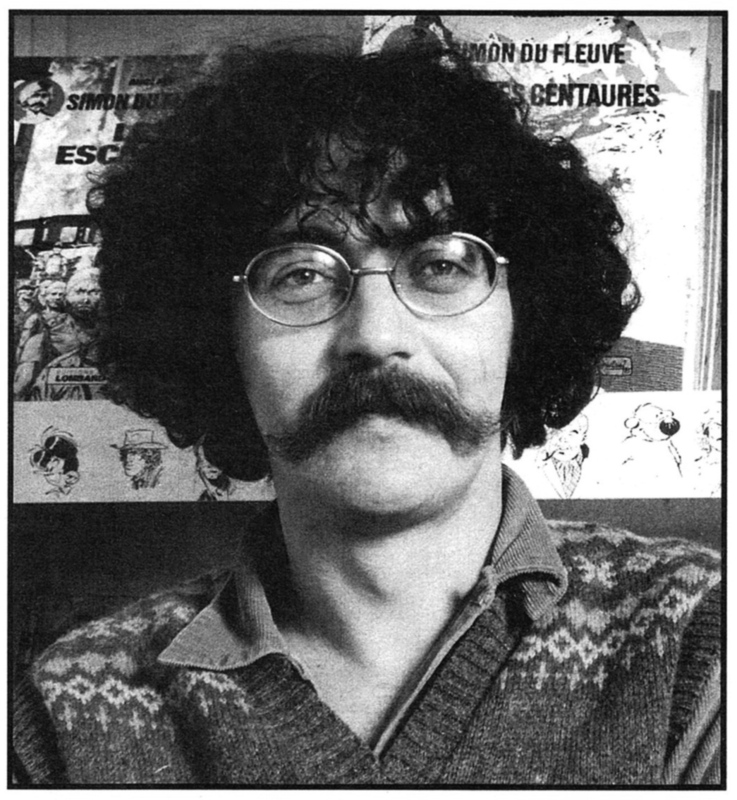 As Jijé sees Claude Auclair; published accompanying an article in French edition Tintin, 1978 number 155 and Kuifje 1978-35.